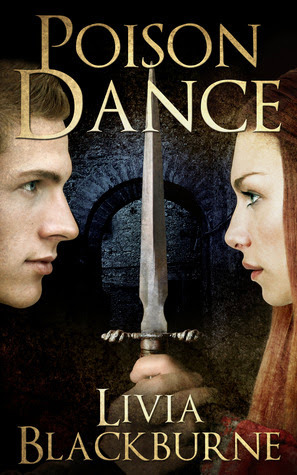 The author described Poison Dance as darker and heavier on the romance than in The Midnight Thief and stated that The Midnight Thief would be more YA than Poison Dance. I was surprised at how dark and gritty the ending of the novel was, and I loved the darker grittier story of Poison Dance, so I’m interested in seeing how much different The Midnight Thief will be. Even though the novella is only 54 pages, Blackburne really packed a story in those 54 pages! I was honestly surprised at how well written and engrossing this novella was. The descriptions and dialogue felt true to the time period. For the novella to be so short, I felt that Blackburne gave us enough to be thoroughly interested in the world. I really felt like I got to know the characters, and I can’t wait to learn more about James in The Midnight Thief. (Although I’ve learned that James is only a side character in The Midnight Thief and not the main character. I kind of wish he was the main character, but can’t wait to see who else Blackburne creates!) I did think that Blackburne skimmed over some interesting parts (although apparently there is a deleted scene concerning this), but considering this is just a novella, I wasn’t overly bothered by it. All in all, this was a great introduction into the world of The Midnight Thief. I really hope that Blackburne continues the great writing, great characters, and expounds on the world building in her full debut. To satisfy FTC guidelines, I am disclosing that I received an advance copy of the book from the author in exchange for an honest review. Great review, sounds fantastic. Cannot wait to read the series!